You have a lot on your plate. We can help. We’ll make you a hero with our years of practical and proven sales enablement experience. SEE HOW WE DELIVER REVENUE RESULTS FAST. 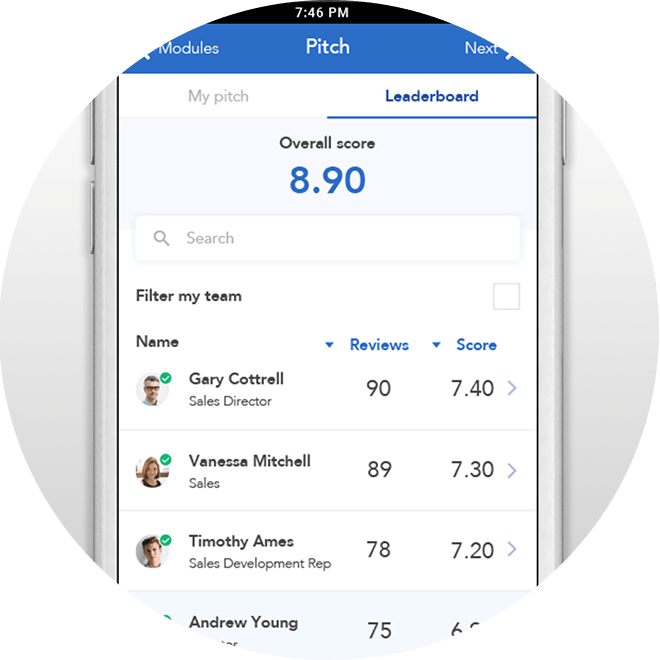 Get more of your team performing like your best by aligning everyone on winning pitches and proven sales plays. Practice and reinforce winning sales plays and pitches with video role-plays. Gamification and peer reviews make learning relevant and impactful. Get more sellers hitting quota by prescribing the right content at the right time and in the right context. Increase sales attainment by sharing just-in-time sales process content and sales tools. Make it easy for your top performers to share their win stories and for your teams to use them. Create a high performing sales execution culture. See how you can bring it to life in your company. 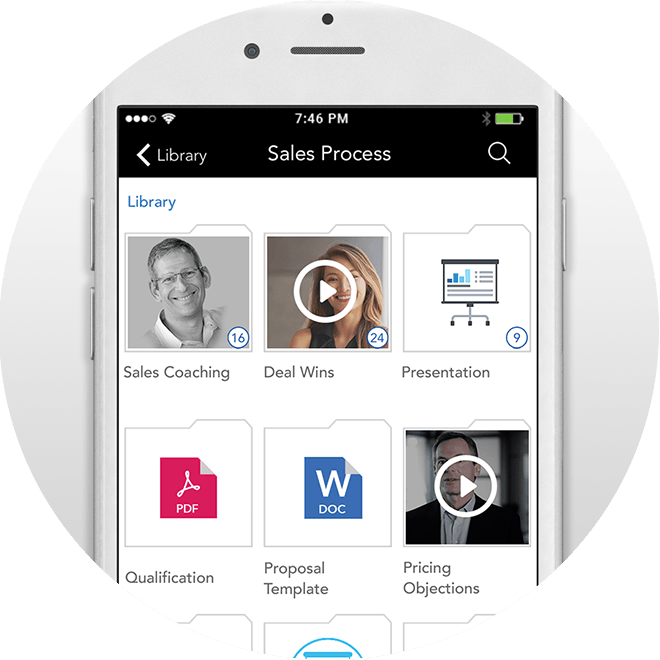 Elevate how managers facilitate one-on-ones and team huddles with our sales coaching templates. Motivate your teams to engage in peer-to-peer coaching and share deal win video stories. Get your people productive and hitting quota faster. Find out how to ramp your teams 60% faster. Ramp teams faster by personalizing coaching, learning and certifications by role. 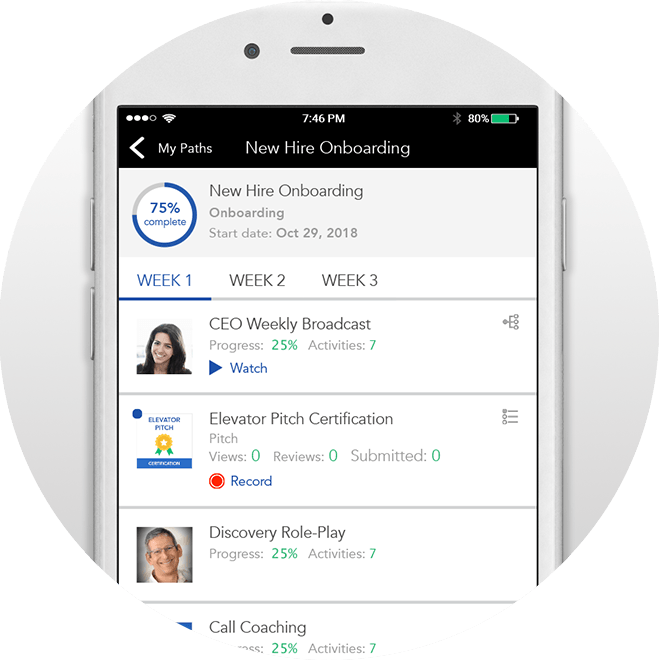 Scale how managers coach their new hires with onboarding coaching activities. WHEN DO YOU WANT TO LOOK UNDER THE HOOD?